MOSCOW, September 24. /ITAR-TASS/. Russia will press for a probe into the fact of discovery of mass graves near Donetsk at international platforms such as the Council of Europe, PACE and OSCE. 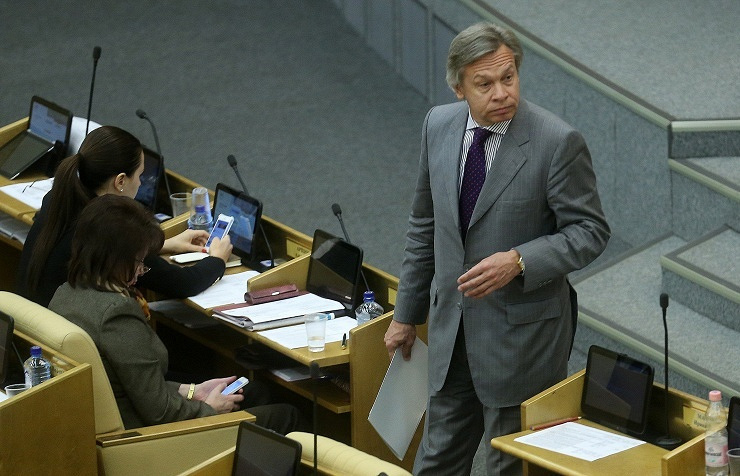 Aleksey Pushkov, head of the State Duma committee on international affairs, told ITAR-TASS. 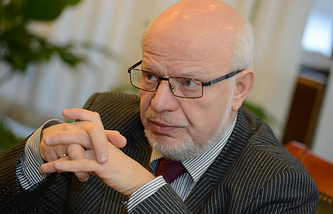 "Russia must and will raise the matter in international organizations the Parliamentary Assembly of the Council of Europe and the Organization for Security and Cooperation in Europe, pointing out that people who are directly responsible for these war crimes and crimes against humanity are now in power in Kiev," the parliamentarian said. Since Kiev, he said, "is incapable of carrying out any investigation whatsoever, this must be the subject of a very serious examination within the framework of those organizations". Pushkov also said that he intends to contact Thorbjoern Jagland, Secretary-General of the Council of Europe, and "take up the matter with him to the effect that the Council must act more energetically in this respect and, possibly, head such a commission (for investigation)". "At all events, I intend to put forward such a proposal," he said. On Tuesday, militia members of the self-proclaimed Donetsk People's Republic came across the burials of bodies in the grounds of a timber depot of Mine 22 "Kommunar" (Nizhnyaya Krynka, 60 km from Donetsk). A spokesman for militia told ITAR-TASS, "Possibly, this is a mass grave. Disinterment is to be carried out and the entire territory will be explored. Other burial sites have been also found and will be cut open". Discovered so far are four bodies, including beheaded ones. Only two days ago National Guard units stayed in the area of the discovered burials.